It’s National Craft Month! And in honor of all things crafty, Interweave is hosting a blog hop. I’m thrilled to be guest blogging for the knit group, because of course, knitting is the best craft with which to be marooned on a desert island. Read more about why, and then follow along on our crafty blog hop! 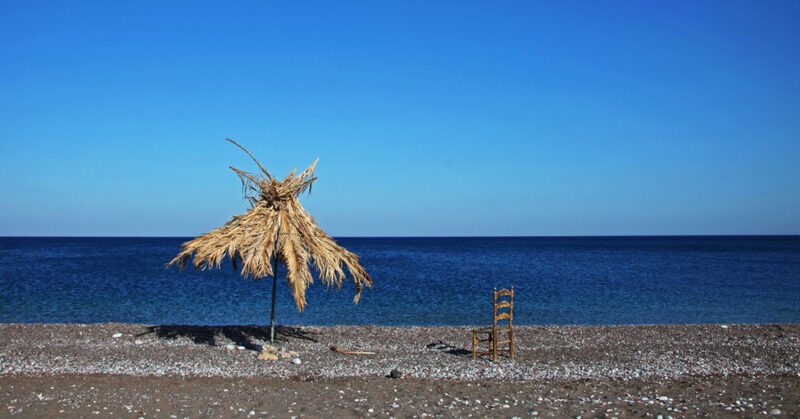 If you were stranded on a desert island, what would you need to have with you in order to stay sane? Music tops the list for many, but for me, it’s got to be my knitting. Since the classic way to become stranded seems to be a plane crash (eek! ), I know I would have my knitting with me, because I never, and I mean never, travel without it. I always have a pretty sizey knitting bag that I use for my carry-on, which is stocked with notions, two projects (one small and one largish), and paper patterns—must have them printed out in case of power loss. And always a full set of interchangeable needles, because what if I find a project on my travels that I need to cast on immediately? Knitting is so portable, there’s no reason not to be for any emergency. In fact, our craft is versatile enough to keep us occupied though dire circumstances. After building our hut, finding water, and creating fire, we can knit away the time until rescue. And, let’s face it, we could whittle some knitting needles from sticks and knit with palm fronds if we had too; we are strong, brave, and competent! And we’ve watched Gilligan’s Island, Castaway, and umpteen seasons of Survivor (at lease I have!). I must admit, this isn’t the first time I’ve thought about getting stranded somewhere or going down and ending up on the deserted island. Maybe I’m fatalistic, but flying isn’t my favorite thing, so I hope for the best and plan for the worst. When choosing projects for travel on a particularly long flight, I took a cowl simply because I could use that particular yarn over and over, *just in case* I got stuck and didn’t have access to yarn. That’s how much I need my knitting, any time, anywhere. I have to consider the type of desert island knitting I would want to work on if I were trapped on a desert isle, too. So, let’s say we have a best-case-stranding scenario, and we get marooned on a luxe island because our yacht breaks down. A three-hour tour, if you will. I would want to work on warm-weather projects, wouldn’t you? Or at least small items, so I wouldn’t have a pile of hot sweater in my lap. Packing isn’t an issue in this instance, so I would definitely have many pattern options at the ready, like the spring 2019 issues of knitscene and Knits, and always, ALWAYS, 100 Knits: Interweave’s Ultimate Pattern Collection. 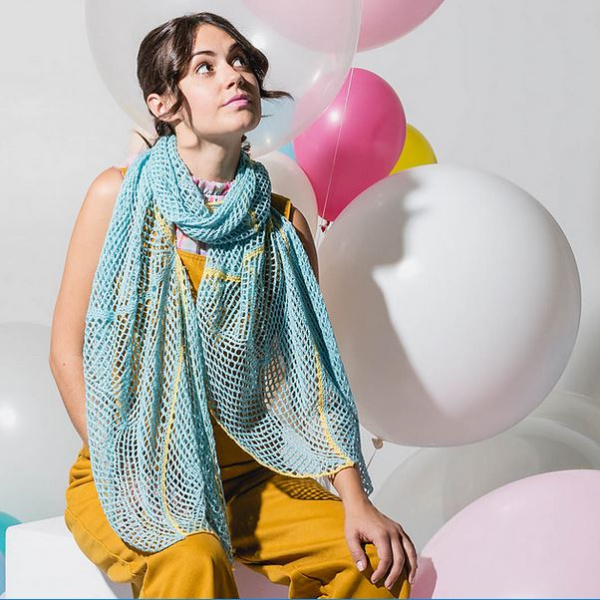 From knitscene, I would choose the Headwind Shawl by Jennifer Miller Comstock, with its unique modular construction that’s reminiscent of a swirling gust. This shawl is composed of eight equilateral triangles; each triangle is worked in the round from the outside edge to center while being joined to the preceding triangle. It would be the perfect project to occupy you during your “stay” on the island, and to wear if your visit becomes, shall we say, extended. 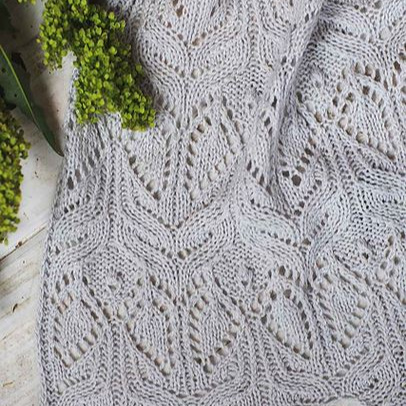 Knits offers a gorgeous stole, Cheryl Toy’s Gardenia. Even on an island, the trade winds can blow and cool you down, so a lace stole will come in handy. And since it’s knit in lace-weight yarn, it’ll take you a bit to work up, something to consider if you’re awaiting rescue! 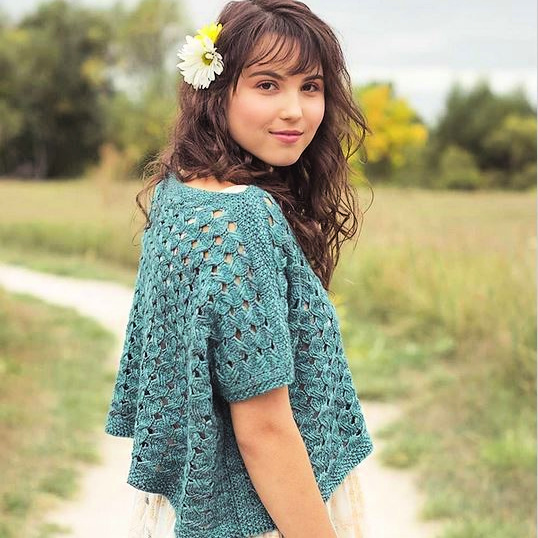 The Kricka Top by Sherrie Kibler is one of the standouts in 100 Knits: Interweave’s Ultimate Pattern Collection. It’s the quintessential warm-weather top, one that you’ll wear all season long, stranded or not. You might want to knit this up just in case! 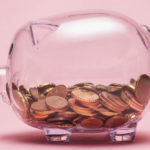 The next time you travel, pick projects that will go the distance if you get marooned. I suggest something with lots of yarn that can be repurposed for hours of desert island knitting. What to pack for your “three-hour tour”!